According to reports a female passenger got stuck on her cabins balcony by getting locked out on the Fred Olsen cruise ship, Braemar. It happened around 9 PM on Friday 21st November. The Daily Echo which is a news outlet based in Southampton reported on the rare situation. The passenger apparently had to call the local Coast Guard as there was no way of getting any help from the ship’s crew at the time. The site mentions that it happened just minutes after the 24,344 ton vessel set sail from Southampton, UK. Thankfully the woman had her mobile phone with her so was able to make contact with the Solent Coast Guard. They then contacted the ship so a crew member could help the passenger get back into her warmer cabin. This is a very rare situation and the woman must have been very cold with local temperatures around 10 degrees Celsius. There are no details about how long she stayed stuck outside on her deck seven cabins balcony but was probably at least several minutes. 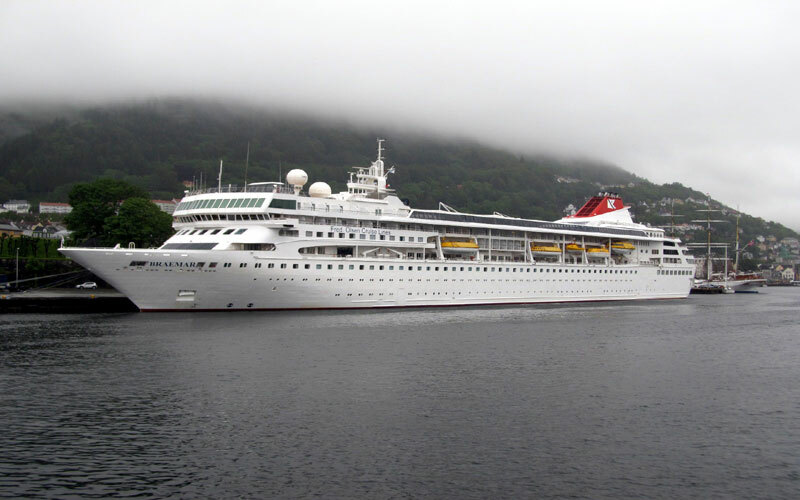 Braemar is operated by British based cruise line Fred Olsen Cruise Line and was sailing towards the French port of Rouen.